Patronage is king in new Malaysia? When Harapan wanted to capture power, the coalition’s leaders told Malaysians to expect real change if UMNO was expelled from government. These reforms included ending ethnically-based policies, unfailingly applied since the 1970s to justify patronage favouring bumiputera, though extremely abused to enrich politicians in power. The Prime Minister would also no longer concurrently serve as finance minister who had under his control a slew of GLCs like 1MDB and Tabung Haji, enterprises that had been persistently abused by UMNOo. Politicians would not be appointed as directors of GLCs. These pledges contributed to Harapan’s considerable achievement of ending authoritarian rule in Malaysia. However, Harapan has been in power barely eight months and already alarming trends are appearing which suggest that this coalition is finding ways and means to renege on its pledges. Equally troubling is a gradual and perceptible attempt to reinstitute the practice of selective patronage in the conduct of politics and in the implementation of policies, hallmarks of UMNO politics that led to its fall. Soon after Harapan formed the government, it created the Economic Affairs Ministry, led by Mohamed Azmin Ali. Subsequently, numerous GLCs controlled by the Finance Ministry, under the jurisdiction of Lim Guan Eng, were transferred to the Economic Affairs Ministry. Malaysia’s only sovereign wealth fund, Khazanah Nasional, was channelled from the Finance Ministry to the Prime Minister’s Department. The government did not publicly disclose why the shifting of these GLCs between ministries was necessary, but it is now clear that the Finance Ministry no longer holds enormous influence over the corporate sector. With Khazanah under his ministry, Mahathir, though not also functioning as the Finance Minister, had secured control of Malaysia’s leading investment arm. When Mahathir argued that Khazanah had deviated from performing one of its original objectives, helping the bumiputera, this contention was disputed by numerous analysts. Mahathir went on to appoint himself as chairperson of Khazanah, though this was, by convention, the practice. The convention also was that the finance minister should be a member of Khazanah’s board. Instead, Azmin was given this appointment. Whether the prime minister and the economic affairs minister should have been appointed board members of Khazanah merited debate as Harapan had pledged that politicians would not be appointed as directors of government enterprises. 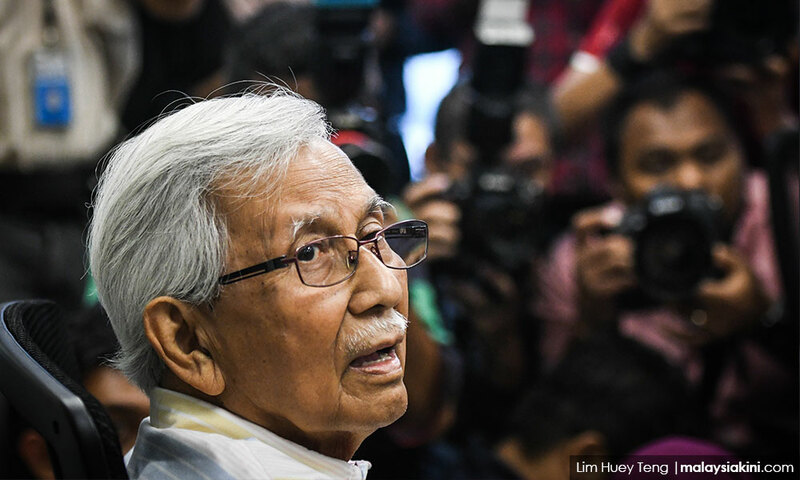 Daim Zainuddin, the chair of the Committee of Eminent Persons (CEP), established to prepare a report reviewing the state of the economy, endorsed the need for such a bumiputera policy, though he acknowledged problems of the past when he said: “We want to get it right this time.” Daim also stressed that the government would strive to change the mindset of bumiputera. The nation was not told how this policy will be altered to get it right, nor how mindsets will be changed. Meanwhile, the CEP report, though submitted to the government, was not publicly disclosed. Instead, the bumiputera policy was stressed when the Economic Affairs Ministry released its Mid-Term Review of the 11th Malaysia Plan, while other ministers have actively affirmed that GLCs will be divested, an issue also in the 2019 budget. Given Malaysia’s long history of political patronage, worrying questions come to mind of these divestments. For example, one important equity sale by Khazanah, an issue that barely secured any analysis in the press, was that of its interests in CIMB, the country’s second-largest bank. 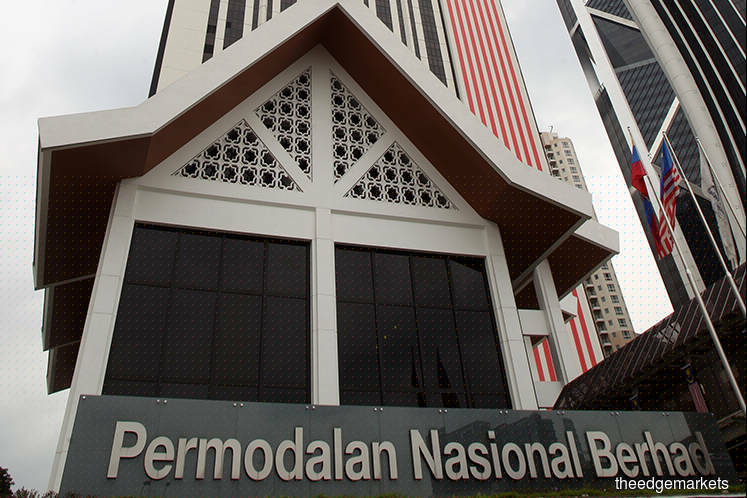 Khazanah reduced its equity holding in CIMB by 0.66 percent, a seemingly small divestment. However, does this sale mark the beginning of the transfer of control of CIMB to well-connected business people, even proxies of politicians, a common practice by UMNO in the 1990s? 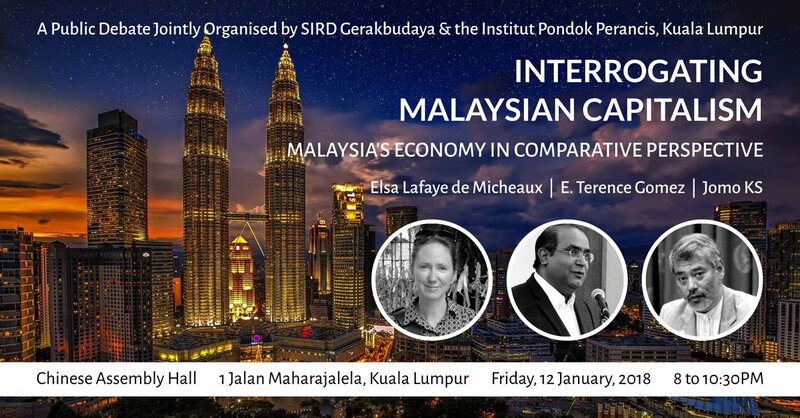 Will Harapan, through such divestments, move to create a new breed of powerful well-connected business groups, even oligarchs, a trend seen in other countries transiting from authoritarian rule to democracy? Another worrying issue occurred recently. 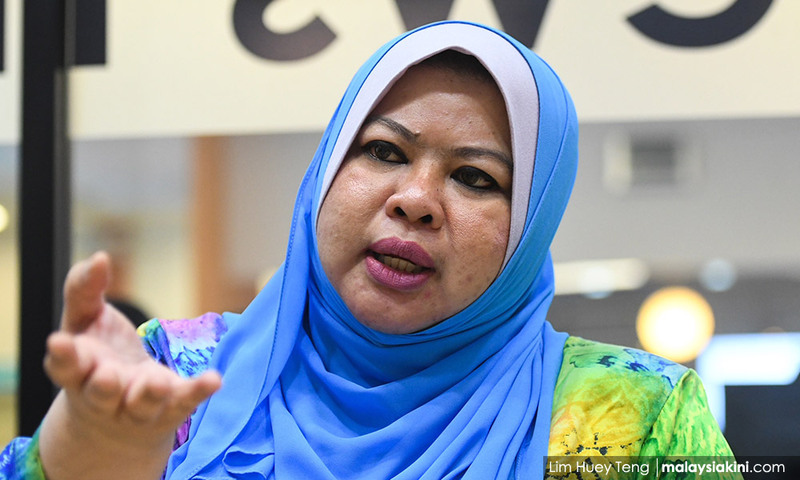 Rural and Regional Development Minister Rina Harun of Mahathir’s party, Bersatu, approved the appointment of politicians from her party to the boards of directors of GLCs under her control. This is extremely worrying because, under UMNO, the Rural and Regional Development Ministry was persistently embroiled in allegations of corruption, with MARA being the prime example. The practice of patronage through GLCs to draw electoral support was rampant under this ministry as it has a huge presence in states with a bumiputera-majority population. So important is this ministry, in terms of mobilising electoral support, that it was always placed under the control of a senior UMNO leader. During Najib Abdul Razak’s administration, then UMNO Vice- President, Mohd Shafie Apdal, served as its minister before he was unceremoniously removed from office. Shafie was replaced by Ismail Sabri Yaakob, Najib’s close ally. What Rina, once an UMNO member, has done by appointing politicians to GLCs under her authority is so reminiscent of patronage practices that had undermined the activities of these enterprises. 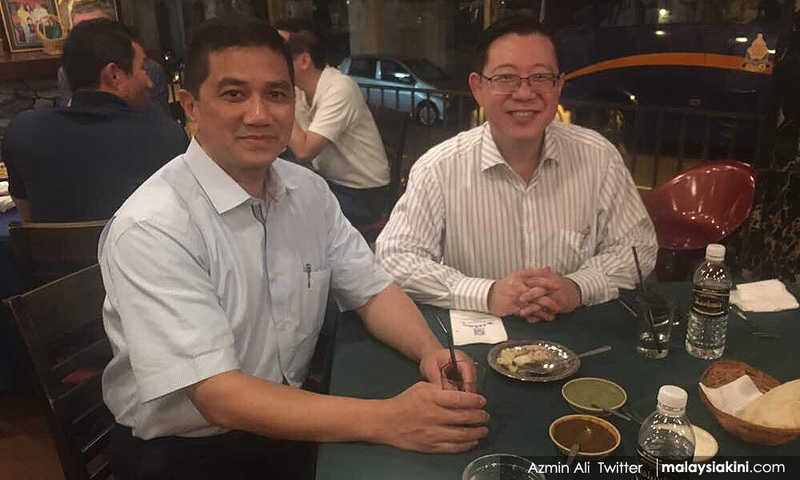 Azmin subsequently endorsed what Rina had done on the grounds that “there are some politicians who have professional background, such as accountants, engineers or architects, who can contribute to GLCs”. During Najib’s administration, this vast GLC network, created primarily to fulfil the bumiputera agenda, became tools easily exploited by UMNO, so visibly manifested in serious corruption associated with Felda and Tabung Haji. However, Harapan has refused to establish an independent committee to review this extremely complex GLC network that operates at the federal and state levels. Is this reluctance because Harapan plans to similarly employ GLCs for the practice of patronage, as recent trends suggest? What is clear, even becoming the norm, is Harapan’s consistent message to the nation: selectively targeted patronage will continue. The primary advocate of this message is Bersatu, an UMNO off-shoot. 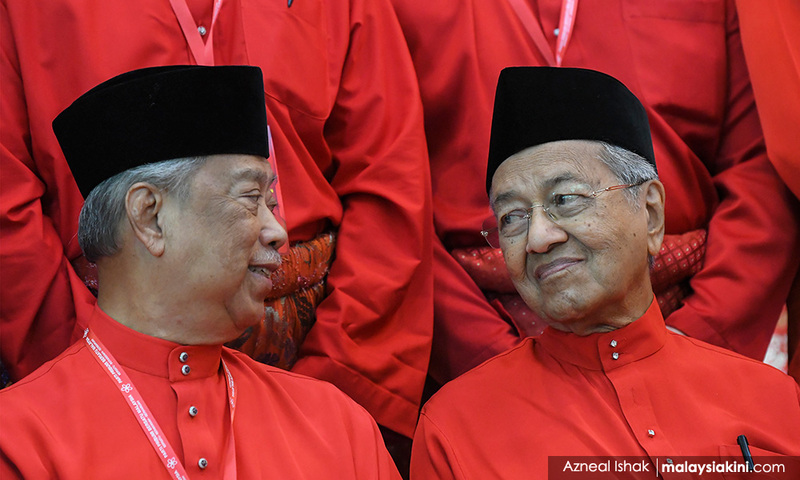 At Bersatu’s first convention after securing power, held two weeks ago, its president, Muhyiddin Yassin, was quoted as saying: “As a party for the ‘pribumi’ or indigenous group, Bersatu should not be apologetic to champion the bumiputera agenda”. Muhyiddin went on to say: “No one in our society will be left behind. Hence, this agenda is not a racial agenda, but a national agenda.” These statements are strikingly similar to what Umno had stressed when in power. These trends suggest that for Harapan, and Bersatu in particular, consolidating power, by marshalling bumiputera support, is its primary concern, not instituting appropriate economic and social reforms. If the government hopes to change mindsets, Harapan must focus on just universal-based policies that assist all Malaysians. In the process, disenfranchised bumiputera will also be supported. Patronage need not be king. TERENCE GOMEZ is a professor of political economy at the Faculty of Economics and Administration, Universiti Malaya. Posted in 11th Malaysia Plan, business, Corruption, Crony capitalism, Liberalism and Open Society, MACC, Malaysia, Malaysiakini, Meritocracy and Competence, New Economic Policy, Parti Pribumi Bersatu Malaysia, Policy Research, Political Economy, Politics, Public Accountability, Public Policy, The Malays, Tun Dr. Mahathir Mohamad, Uncategorized. The US rarely arrests senior business people, US or foreign, for alleged crimes committed by their companies. Corporate managers are usually arrested for their alleged personal crimes (such as embezzlement, bribery, or violence) rather than their company’s alleged malfeasance. Yes, corporate managers should be held to account for their company’s malfeasance, up to and including criminal charges; but to start this practice with a leading Chinese businessperson, rather than the dozens of culpable US CEOs and CFOs, is a stunning provocation to the Chinese government, business community, and public. Meng is charged with violating US sanctions on Iran. Yet consider her arrest in the context of the large number of companies, US and non-US, that have violated US sanctions against Iran and other countries. In 2011, for example, JP Morgan Chase paid $88.3 million in fines in 2011 for violating US sanctions against Cuba, Iran, and Sudan. Yet Jamie Dimon wasn’t grabbed off a plane and whisked into custody. And JP Morgan Chase was hardly alone in violating US sanctions. Since 2010, the following major financial institutions paid fines for violating US sanctions: Banco do Brasil, Bank of America, Bank of Guam, Bank of Moscow, Bank of Tokyo-Mitsubishi, Barclays, BNP Paribas, Clearstream Banking, Commerzbank, Compass, Crédit Agricole, Deutsche Bank, HSBC, ING, Intesa Sanpaolo, JP Morgan Chase, National Bank of Abu Dhabi, National Bank of Pakistan, PayPal, RBS (ABN Amro), Société Générale, Toronto-Dominion Bank, Trans-Pacific National Bank (now known as Beacon Business Bank), Standard Chartered, and Wells Fargo. None of the CEOs or CFOs of these sanction-busting banks was arrested and taken into custody for these violations. In all of these cases, the corporation – rather than an individual manager – was held accountable. Nor were they held accountable for the pervasive lawbreaking in the lead-up to or aftermath of the 2008 financial crisis, for which the banks paid a staggering $243 billion in fines, according to a recent tally. In light of this record, Meng’s arrest is a shocking break with practice. Yes, hold CEOs and CFOs accountable, but start at home in order to avoid hypocrisy, self-interest disguised as high principle, and the risk of inciting a new global conflict. Quite transparently, the US action against Meng is really part of the Trump administration’s broader attempt to undermine China’s economy by imposing tariffs, closing Western markets to Chinese high-technology exports, and blocking Chinese purchases of US and European technology companies. One can say, without exaggeration, that this is part of an economic war on China, and a reckless one at that. Huawei is one of China’s most important technology companies, and therefore a prime target in Trump administration’s effort to slow or stop China’s advance into several high-technology sectors. America’s motivations in this economic war are partly commercial – to protect and favor laggard US companies – and partly geopolitical. They certainly have nothing to do with upholding the international rule of law. The US is trying to targeting Huawei especially because of the company’s success in marketing cutting-edge 5G technologies globally. The US claims the company poses a specific security risk through hidden surveillance capabilities in its hardware and software. Yet the US government has provided no evidence for this claim. A recent diatribe against Huawei in the Financial Times is revealing in this regard. After conceding that “you cannot have concrete proof of interference in ICT, unless you are lucky enough to find the needle in the haystack,” the author simply asserts that “you don’t take the risk of putting your security in the hands of a potential adversary.” In other words, while we can’t really point to misbehavior by Huawei, we should blacklist the company nonetheless. When global trade rules obstruct Trump’s gangster tactics, then the rules have to go, according to him. US Secretary of State Mike Pompeo admitted as much last week in Brussels. “Our administration,” he said, is “lawfully exiting or renegotiating outdated or harmful treaties, trade agreements, and other international arrangements that don’t serve our sovereign interests, or the interests of our allies.” Yet before it exits these agreements, the administration is trashing them through reckless and unilateral actions. The unprecedented arrest of Meng is even more provocative because it is based on US extra-territorial sanctions, that is, the claim by the US that it can order other countries to stop trading with third parties such as Cuba or Iran. The US would certainly not tolerate China or any other country telling American companies with whom they can or cannot trade. Sanctions regarding non-national parties (such as US sanctions on a Chinese business) should not be enforced by one country alone, but according to agreements reached within the United Nations Security Council. In that regard, UN Security Council Resolution 2231 calls on all countries to drop sanctions on Iran as part of the 2015 Iran nuclear agreement. Yet the US – and only the US – now rejects the Security Council’s role in such matters. The Trump administration, not Huawei or China, is today’s greatest threat to the international rule of law, and therefore to global peace. Posted in business, China, Donald J Trump, Geo-Politics, Global Issues, Project-Syndicate.org, Uncategorized, US-China Relations, Xi Jinping. faffTrust. Integrity. Honour. Lexicons or Values? The month of November 2018 witnessed many boardroom dramas. Revelations of Facebook in the New York Times spoke of an unbecoming culture of ‘Delay, Deny and Deflect’ allegedly practised by the most senior people in one of the largest corporations ruling this world today: People who we idolise, our children want to emulate, those who frequent talk shows and international business forums. These are people we trust as exemplars for our companies, yet in a public listed company that necessitates high levels of governance, we hear reports of culture that promotes the contrary. And then we saw Carlos Ghosn, the Chairman and CEO of Renault who allegedly used company funds for personal purposes. Another case of a public listed company that missed its mark on governance, it would seem. We had German police raiding Deutsche Bank’s headquarters in Frankfurt as part of an investigation into whether the lender helped criminals launder money through offshore tax havens when it was not long back HSBC was fined for money laundering offences in Mexico. These cases and companies are by no stretch of the imagination small feat adventures. These companies are and have been emulative models of case studies for management schools, its leaders receive invites to Davos and we in the ‘developing world’ are made to believe that they are who we should model our market success on. Now – zooming into my own country, Malaysia. It is heart breaking to read day in day out, of late, how the house of cards is crumbling in its own weight in some of our companies with long legacies and national agendas, like Felda Corporation where its entire former board has been sued for losses and bad investment decisions. As if this was not heart wrenching enough this week, we then read Malaysia’s 64 billion ringgit ($21 billion) Muslim pilgrimage saving fund, Tabung Haji (TH), is said to be short of four billion ringgit of deposits. The story which broke in the Singapore Sunday Times alleges that TH faked its 2016 accounts to justify its dividends. This in the same month we were told the movie-bound 1MDB Auditor General Report was tampered with. 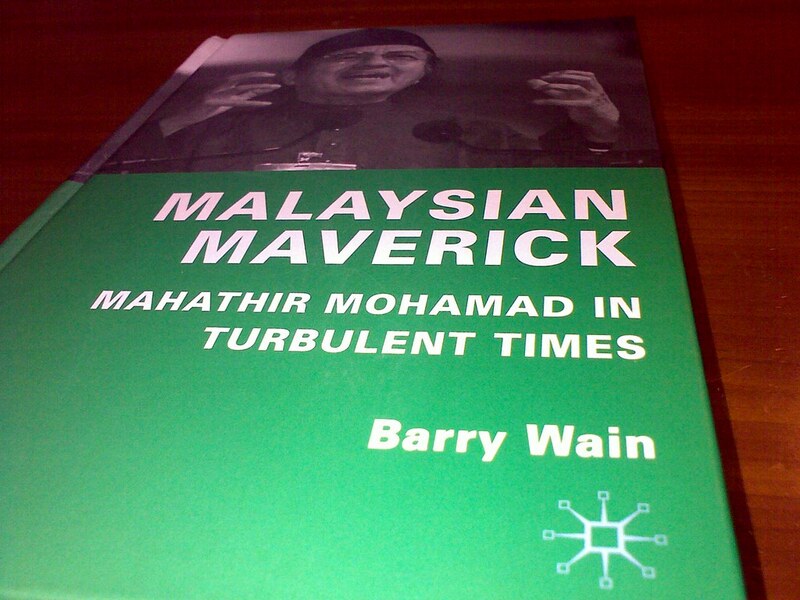 Having had several books written after it, made into documentaries and now waiting for its casts to be selected so they can film an all-Hollywood movie with all its trappings for more Malaysians to go watch how we were lied to and how our hard earned monies misused – these escapades are no longer amusing. Added to this, we are witnessing politicians being hauled up for alleged corruption, the existing government (Pakatan Harapan) being questioned for their said promises in their election manifesto and their intent in honouring the promises. Yes in a glass half full scenario one can argue, we are witnessing transparency and rule of law taking its course. But the bigger question really is – how did we get here 61 years since our independence. Shouldn’t the systems, processes and institutions be solid enough to avert such malfeasances? Shouldn’t we have a civil service and/or leaders of government-linked companies who know that political campaigning is just wrong – yet we had very highly educated leaders, not least highly respected ones who ignored this basic ethics. So my questions are: How did these people get to these positions? Who selected the company boards and its management teams for these companies? What were the criteria of these selection processes and what are their performance measures – or is it arbitrarily done by a few (in the corridors of power) peoples’ likes/dislikes as was suggested in a recent article in The Star? Sho uldn’t the criteria of selection be made public, for after all they are being paid by the public? Shouldn’t they (i.e. those who selected these leaders – CEOs and boards) too be hauled up for accountability when those they selected or appointed fail the country and its people? Shouldn’t the criteria of selection be made public, for after all they are being paid by the public? Shouldn’t they (i.e. those who selected these leaders – CEOs and boards) too be hauled up for accountability when those they selected or appointed fail the country and its people? We have CEOs in this country leading companies on behalf of the government who themselves are struggling with words like vision, mission and governance. They simply cannot understand the concept of business judgement and sustainability. Yet these candidates make the cut. I have sadly come face to face with one too many. 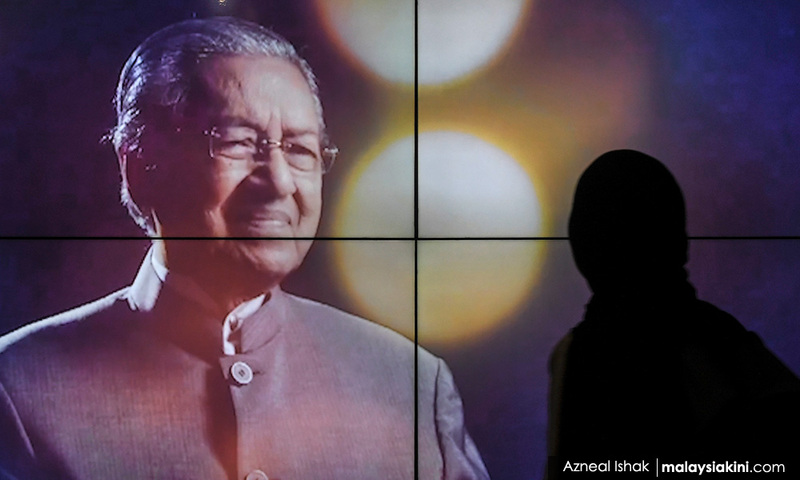 When I interviewed the current Prime Minister of Malaysia, Mahathir Mohamad, in July 2018, he spoke of his total frustration and exasperation in the breakdown of governance in our public sector and government-linked companies. He stressed on the rule of law being the way forward. This sentiment I am certain is shared by many in the country – from housewives to fishermen, from the jobless graduate to a janitor, from an underpaid and overworked teacher to a well-paid executive in a leather office. Yet my gut keeps nagging the one question – the ones leading these companies and departments in government are no fools. 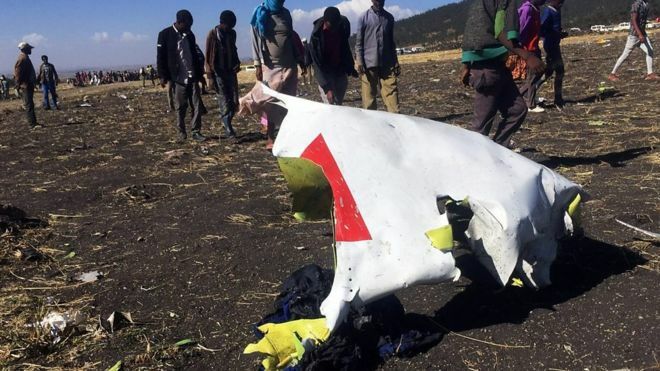 They ARE well educated, they are sent to programmes (after programmes) and courses by their companies and the regulators regularly here and abroad (all paid for I might add) – yet we find these missteps, these blunders and these blood boiling news of blatant failure in public trust. Who exactly is in charge one can’t help but wonder? Who is checking and monitoring these boards and CEOs and their management teams? In a 2014 debate at the Oxford Union, Christopher Hedges, a journalist and writer, argued that often we really do not know who is covering up for who. The committees know they are being lied to. The whole system is designed to cover up each other and this right to the door of parliamentary committees or its equivalent. A friend of mine in his recent fit of frustration of this barrage of government-linked companies news argued that maybe they (the public sector and government-linked companies) have no sense of accountability because they know these funds are government-guaranteed. At the most they would be suspended or demoted within the public sector (unless clear proof of corruption). He also said that the infamous ‘passing of the buck’ rotates from the board to the CEO, to the audits (internal and external), back to the umpteen committees we have in an organisation as a feel-good factor, never mind our love for taskforces as soon as we hit a wall of problems yet no one is really in charge. No clear accountabilities. No clear indication where the buck stops. The well-known historian Arnold J. Toynbee, who famously wrote the nine-volume book A Study of History said that civilizations start to decay when they lose their moral fibre and the cultural elite turns parasitic, exploiting the masses and creating an internal and external proletariat. He emphasized the importance of spiritual dimension in shaping civilisations. Toynbee studied the rise and fall of 21 civilisations and amongst others concluded civilisations fail when pride and hubris kicks in. Standard. We all know this. But he also speaks of the importance of the creative minority. This is the group of people who are able to challenge the status quo. Able to unfix and fix problems. Most of the time we have people who create a problem and then have no clue how to fix them. We also have those who give solutions to a problem but have no clue how it should then work. The creative minority, Toynbee argue are those able to decipher what ails the society, and produce solutions that works in order that society/civilisation moves to its next echelon of dignity – or growth as we call it today. These people are beyond your standard technocrats. They understand human dimension, sociology, culture and, in essence, they build the very fundamentals and the fabric of a strong society. When a society loses this creative minority, and when hubris and arrogance kicks in, the all famous ‘yes man’ syndrome will be its default setting. That’s when you start witnessing the house of cards fall right before your eyes. The Roman Empire rose because of its greatness in structure and discipline. Its ultimate demise happened when lawlessness crept in, similar to the Ottomans. Hubris ruled and a sense of conceit and arrogance became honourable to embrace. The entire Abrahamic depiction of Pharaoh (the master) and Moses (the slave) plays out in every aspect of society even now in the 21st century. Today we can safely say the story of Pharaoh and Moses is well and truly alive in many parts of our own society, waiting to be destroyed by the parting of the Red Sea. 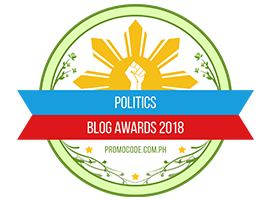 In his recent essay, Terence Fernandez, a Malaysian journalist, for instance wrote of the culture of sabotage in the public service and how it is affecting the new government operating and this after walking into a post-election (GE14) with such hope for change. The entire governance system in Malaysian institutions needs to see a deep overhaul and the leadership at the very top has to own this problem and set it right. For if we do not, no amount of measures, programmes, talks, committees, task forces or retreats will save the day. It is a fundamental change of value system and culture necessary -one that takes time — one that isn’t always popular with politicians who by and large work towards the next election, and certainly not a top priority for three-to-five-years contract chief executives whose key performance measure is bottom line. Malaysia needs to expand and grow its creative minority. We need many more who are able to stand up in the crowd and say: this is wrong and, no, this will not work. We need people who speak truth to power in our public sector and government-linked companies. We really are in desperate need of more people with moral courage in our boardrooms and the corridors of power, people who are able to rationally articulate wrong when it simply is wrong. This does not require an Ivy League degree. It does not require scores of titles. It requires a culture that incentivises moral courage. For this to happen throughout the entire value system, its incentives and remuneration system and culture must change. This has to be led by the CEO of the country (our Prime Minister), not a task force. In the wake of the brutal Washington Post columnist, Jamal Khashoggi’s, murder in Istanbul on October 2, 2018, US President Donald Trump was faced with making a call on his stand on the case and he said (and I paraphrase) – the front and center is American interest and that is jobs and money. When interests are aligned to parameters that change with the next stock market cycle and speculative traits, a company really is doomed to fail. A country on its way to destruction. A civilisation on its journey to ruins. If we do not exert values, by that, good values, on our core interests to growth, for fear of losing our jobs, titles and status, we are literally opening the doors for our children to bear the burden of our own self-interests. To put it simply if not bluntly, if we do not stand apart with moral courage and are willing to take the bullet for speaking the truth today in highlighting wrongs in our companies and institutions, what we are essentially doing is diverting that bullet for our kids and grandchildren to take, for our sins. That really is the simple truth. 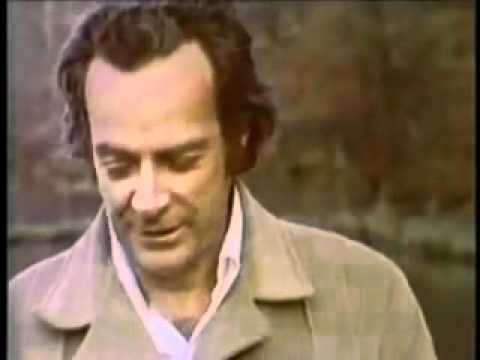 This is why Feynman’s quote above is so poignant for our times. Posted in business, Character and Integrity, civil society issues, Ethics, Governance, Leadership, Meritocracy and Competence, Professionalism, Public Accountability, Tun Dr. Mahathir Mohamad.